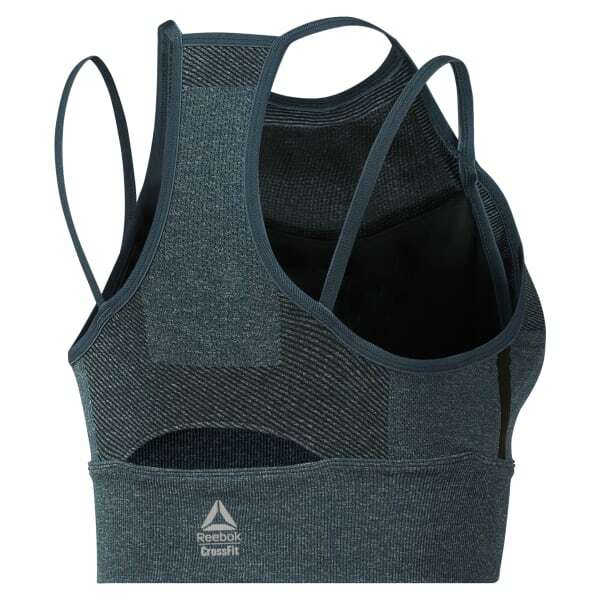 Like a soft stretchy t-shirt next to your skin, this sports bra provides comfort and support for weight training or mobility work. It's made of seamless knit fabric with just the right amount of spandex for a body-hugging fit and full range of motion. Breathable mesh and sweat-sweeping Speedwick fabric help keep you dry from warmup to cool-down.